UAN is a onetime permanent account number which will remain the same throughout the employee life. UAN has been made mandatory to all the employees and this will help in managing the EPF account. This UAN is very much helpful and required to withdraw or to transfer the PF amount. EPFO had made several facilities to avail all the services of EPF through online “https://unifiedportal-mem.epfindia.gov.in/memberinterface/”. The employee who wish to avail these services will have to login into member accounts for this UAN number is essential without the UAN number you cannot access your EPF account. What is meant by UAN number? Universal Account Number is to be allotted to the employers by the EPFO. It is a unique identification which remains associated with the employee throughout his career. It will be portable across the companies and should be valid throughout India. In this we provide you the information about how to generate the aadhar number through online. The below is the step by step process to generate the UAN by using the aadhar number. Step By Step Guide to generate UAN NO using Aadhar number? To generate the UAN by using the aadhar number only avail to the employee who have registered their mobile numbers with aadhar will be able to self-generate their UAN. If your aadhar number is not able to receive the OTP then you cannot use this facility of generating the UAN number. The below are the steps to follow to generate UAN using the Aadhar number through online. 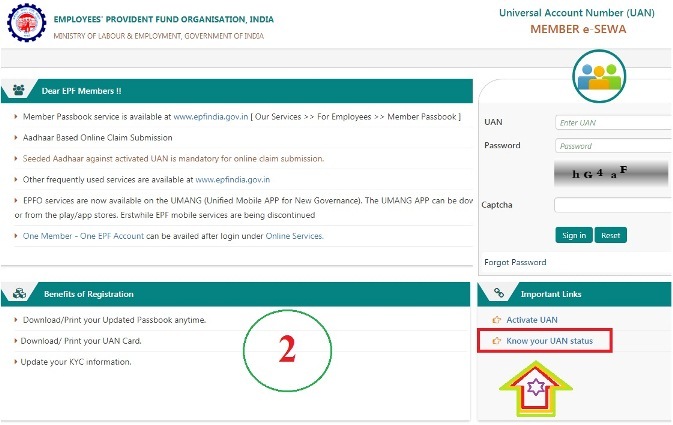 Then the home screen of the EPFO will display on the screen in that click on the link called “online aadhar verified UAN allotment”. By that it will redirect you t the next page in that you have to enter your aadhar number and click on “Generate OTP”. You will receive OTP to your registered mobile number then enter that that number in the box provided and click on the submit option to proceed further. After submitting the aadhar number it will show you the basic information that which you have entered and then fill all the mandatory options and verify the details that you have entered correct or not and then click on the register option. 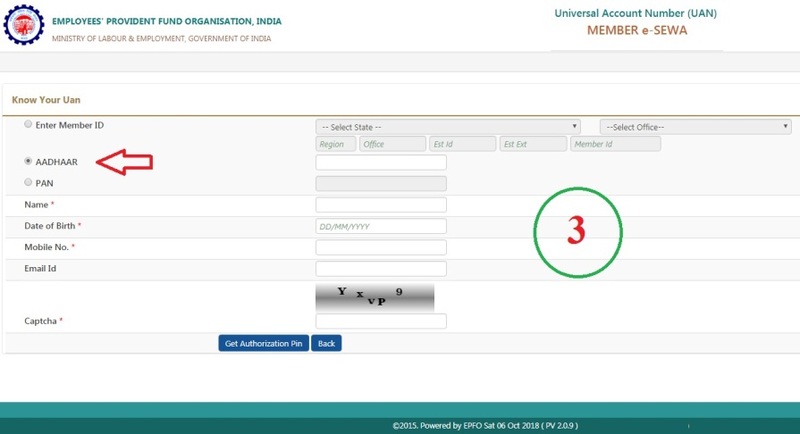 After that your UAN which is allotted is displayed on the message and you will get to your registered mobile number. By this you will get your UAN number by using your aadhar number.